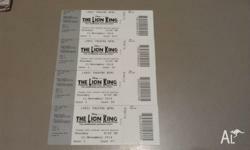 4x The Lion King Brisbane Tickets For Sale. 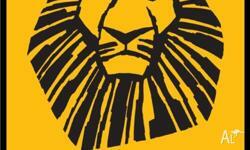 $800 inc parking at performing arts centre. 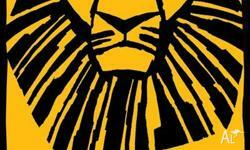 2 EXCELLENT LOCATED TICKETS FOR LION KING ON TUESDAY 11TH NOVEMBER. 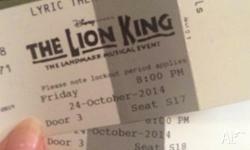 SEATS P9 AND P10. 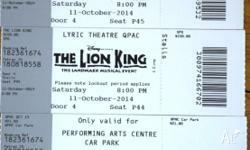 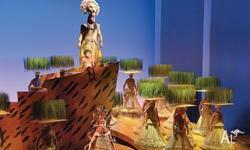 3 x adult tickets for the sold out Lion King Musical at Qpac Brisbane, Queensland. 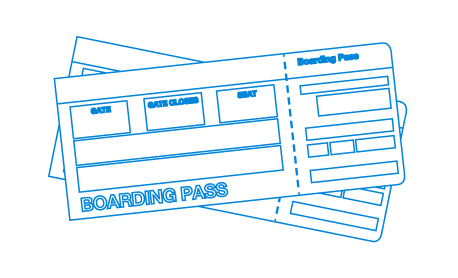 7th January 2015 at 8:00pm.